Meadows Dental Group maintains flexible office hours throughout the week to accommodate our general dentistry patients before and after work or school. Unfortunately, dental emergencies don’t always happen during normal business hours, which is why our emergency dentists are ready to help if you or a loved one need urgent care. How Does Emergency Dental Care Work? Call our office at 303-790-2323. If it’s outside of our regular hours, you will speak with a member of our answering service. The service will connect with the on-call dentist and explain your situation. We will return your call and discuss next steps, including the need to get you in to the office for triage, prescriptions, etc. We provide off-hours emergency dental treatment for patients of record. If you are not a current patient of Meadows Dental Group, the dentist will get you scheduled for an appointment at our office as soon as possible during normal hours. If you have a toothache, crack a tooth or break a tooth, rinse your mouth with warm water containing a little salt. A cold compress can also reduce discomfort. If one of your teeth gets knocked out, do not touch the root. Keep the tooth moisturized by holding it in your mouth or placing it in milk. If an object is stuck between your teeth, gently use floss to try to dislodge it. Avoid using sharp instruments on your teeth or gums. If you are bleeding from an injury to the mouth, apply pressure to the affected area. In the event of severe injury or blood loss, dial 911. Be aware of tooth pain that is accompanied by swelling, fever or discharge; these could be signs of a serious infection such as an abscess. When you arrive at Meadows Dental Group, our emergency dentists will evaluate the injury or issue and discuss next steps. With our skilled dentists, experienced team and on-site root canal specialist, we are confident we can restore your oral health! 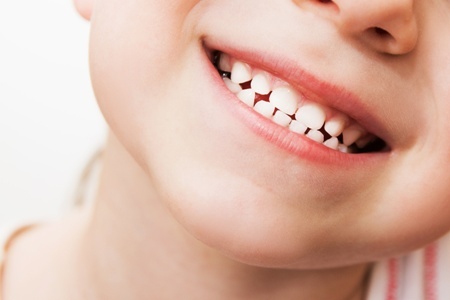 In some cases, children are more susceptible to dental injury than adults. Young children put toys and other inedible items in their mouths without knowing better, and children who play sports are at risk of sustaining injury to the mouth. Whether your child is a toddler or a teenager, Meadows Dental Group is a comfortable office for kids’ dentistry. We serve patients as young as 2 years old in the event of an emergency, and our partnership with local high school sports teams – including free athletic mouthguards – gives us insight into what injuries are common among young athletes. Why Choose Meadows Dental Group for Emergency Dentistry? In addition to our on-call service, our dentists have completed advanced training in several forms of sedation dentistry. Dental emergencies are scary, but our team will happily administer safe and reliable sedation to help you stay calm and get the treatment you need. Even children can safely receive sedation with nitrous oxide during a dental emergency. Call Meadows Dental Group immediately if you need qualified, compassionate treatment: 303-790-2323. Our dentists proudly serve patients throughout the Lone Tree area, including Highlands Ranch, Centennial and other nearby communities of Colorado.